The 14th North American Crane Workshop was held in Chattanooga, Tennessee, in January 2017. 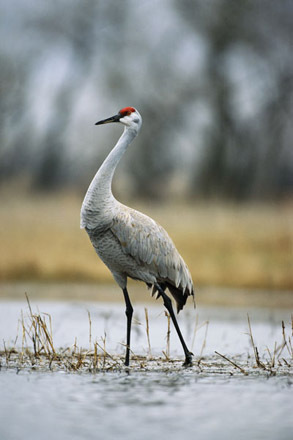 The 15th North American Crane Workshop will be held in Lubbock, Texas, in January 2020. Stayed tuned for further details. Workshops are open to all interested in crane research and conservation. The NACWG publishes a newsletter called Unison Call. The newsletter is published twice per year and provides information on crane biology and conservation. All members of the NACWG receive Unison Call with their annual membership. <Latest issue> <Past issues> <To contribute>. The USFWS provides updated information on whooping cranes through their Whooping Crane Recovery Activities reports. <Latest report> <Past reports>.